Ranya (Sorani Kurdish: ڕانیە‎) is a town in the Kurdistan region of Iraq, and is a part of the Sulaymaniyah Governance. According to the 2015 census, Ranya has a population of 229,924. A mid-sized town, Ranya is ringed by Kewa Rash, which means "Black Mountain" in Kurdish. The town contains many popular tourist areas, including Darband, Daristan-i-Ranya, and Ganaw, as well as the villages of Dill-I Shawry, Akoyan, Betwata, Sar-u-Chawa and Zew-I Xoshnawati. These locations all provide stunning views of the local scenery. Known for its produce and agricultural expertise, the areas surrounding the town are extremely fertile. The people of Ranya have participated in a number of revolutions against tyrannical Iraqi regimes, most famously in March 1991. The Ranya Uprising achieved a great victory for the Kurdish people and many refer to the town as Darwaza-I Raparin, the Gateway to Uprising. Ranya was established in 1789, during the late Ottoman Empire. Following the end of the First World War, Ranya fell under the control of Sheikh Mahmood and the British Empire. The bilateral relations deteriorated between English authorities and Sheikh Mahmood in Kurdistan, and the Ranya region was directly affected. Several movements formed against English authorities, such as the Darband War in 1922. Other notable uprisings took place in 1941 and 1948. After the 1958 Iraqi coup d'état in Iraq, the Kurdistan Region become home to many political activities. Meetings were conducted within the framework of the Kurdistan Democratic Party (KDP), and Ranya became a central location for revolutionary leaders and government authorities. However, as a result of worsening relations between Baghdad and the Kurdish areas, the revolution of September 1961 began. For the next 20 years, Ranya became known as a safe haven for political leaders and revolutionaries. Between 1982 and 1991, there were a series of uprisings in the Ranya area. On March 5, 1991, Ranya was the first town to rebel against Saddam’s regime. 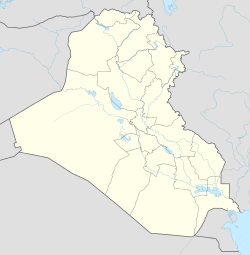 As a result, other towns and cities rose up against Iraq's government, forcing the United States to intervene. The United States launched Operation Provide Comfort in March 1991. According to the last statistics in 2009-2010, there are 24 preparatory schools in the Ranya Directorate. There are 24 kindergarten schools, 114 primary schools, and one industrial preparatory school. In Ranya City, there are four colleges and one university (University of Raparin, The College of Human Sciences, The College of Basic Education, Military Academy College, The College of Nursing Education. There are also several institutes, including the Fine Arts Institute and Ranya Computer Institute. The University of Raparin includes 27 departments and serves over 5,000 students. The university is well known for its nursing program and English and Development Center. The university was founded in 2010. Ranya City is located in the north east of the Kurdistan region of Iraq. Ranya is located on longitude (36, 28-36, 5) N and latitude (44, 60-44, 33) E. The Ranya District is surrounded by mountains, rivers, and Lake Dukan. The area of Ranya is 884 km2 and it includes five sub-districts: Ranya City, Chwarqurna, Hajiawa, Betwata, and Sarkapkan. In Ranya, there is 900 to 1,050 ml of rainfall each year. There are four seasons in Ranya, which are affected by the Mediterranean Sea. Summer is hot and dry, while winter is considered the rain/snow season. Wikimedia Commons has media related to Ranya.